In 1996, when historian Deborah E. Lipstadt was charged with libel by David Irving for calling him out as a Holocaust denier, she fought back. 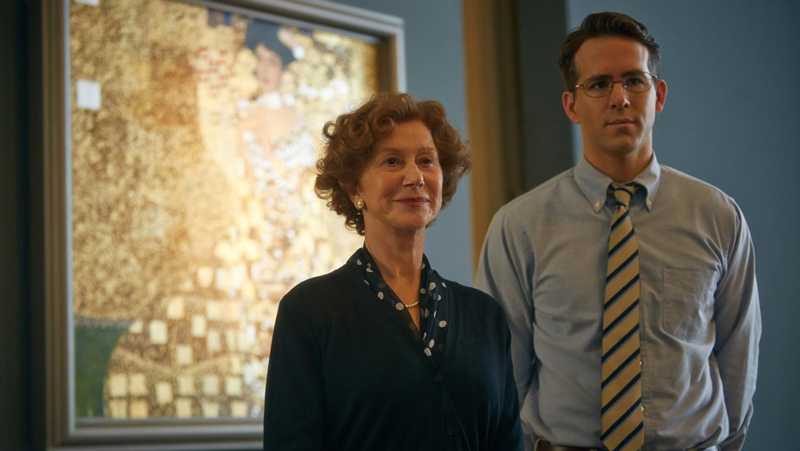 Her experiences, recounted in her book Denial: Holocaust History on Trialand now dramatized in Mick Jackson’s film DENIAL, showcase a woman willing to put her reputation and livelihood on the line to preserve the undeniable truth of the Holocaust. That trial became “a defining moment” in her life. For Lipstadt, “It didn’t change me or what I had to say. It changed how people listen to me. It gave me a hearing I hadn’t had before.” In DENIAL, Lipstadt (portrayed by Rachel Weisz) works with a brilliant British legal team, headed up by solicitor Anthony Julius (Andrew Scott) and barrister Richard Rampton (Tom Wilkinson), to mount a case against Irving (Timothy Spall) in which the stakes are nothing less than the sanctity of truth. To pay tribute to Lipstadt’s own heroic stance, we showcase five films that dramatize the lives of different women who stood up to social injustice. When Martin Ritt read Henry P. Leifermann’s 1975 book Crystal Lee: A Woman of Inheritance, he felt he had to bring this remarkable profile in courage to the screen. “I've known a lot of women in my life, most of them much more educated and sophisticated,” Ritt notes, but none he felt were as courageous as Sutton. In 1973, when Crystal Lee Sutton saw a notice calling for organizing a union at the North Carolina J. P. Stevens textile mill where she worked, something clicked inside her. Spurred on by a deep-seated sense of injustice and a desire to make a better world for her children, Sutton quickly teamed up with the Textile Workers Union of America to bring collective action to an aggressively anti-union area. After optioning the book, Ritt hired screenwriters Irving Ravetch and Harriet Frank, Jr. While these filmmakers had had success exploring the American dream in films like The Long, Hot Summer (1958), Hud (1963), Hombre (1967), Conrack (1974), they quickly found that dealing with union issues was an uphill battle. "I was trying to make a labor film with teeth, in Hollywood, where it has never been easy to make an affirmative statement about the working class," Ritt explains. After most studios passed on the project, 20th Century Fox picked it up for a reduced budget. When they tried to shoot in Georgia, a strict right-to-work state, they couldn’t find a single factory that would let them shoot there. 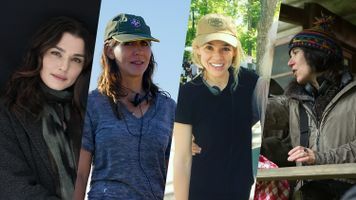 Casting proved equally difficult when many name actresses, including Marsha Mason, Jane Fonda, Faye Dunaway and Jill Clayburgh, turned the filmmakers down. Sally Field, who was better known as a teen surfer and flying nun than as a serious actress, didn’t at first seem like a natural choice. But when Ritt met her at an anti-nuclear demonstration, he saw how strongly she was committed to political issues. In prepping for the role, she threw herself completely into the character’s world, working with Beau Bridges (who plays her husband in the film) at an actual textile mill before production. 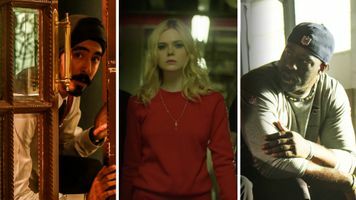 While the filmmakers faced pressure from various elements who feared their drama might be too political, they also found resistance from their film’s subject who questioned whether it would be political enough. 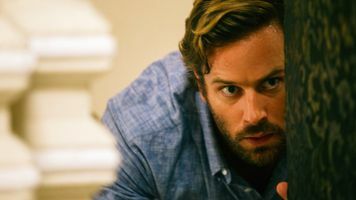 "The thing is, I wanted it to be a movie that was right—about the union, about what we went through,” Sutton told People Magazine before the film came out. “In the movie they make like it's only me that's important, and there were so many others." Sutton’s refusal to sign over her life rights (even though Ritt had secured the rights to the book about her) pushed the filmmakers to change the names of the characters. 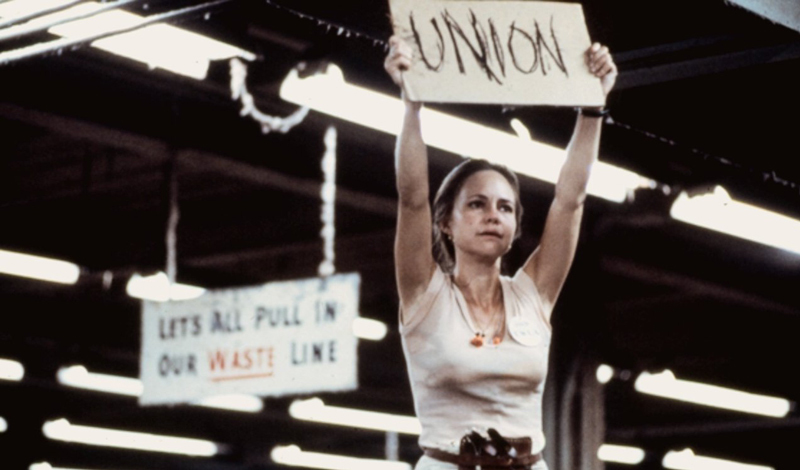 In the end, Norma Rae’s journey from mill worker to labor activist with the help of union organizer Reuben Warshowsky (Ron Leibman) proved a critical and commercial success. The film was nominated for four Academy Awards, including Best Picture, winning for Best Song and Best Actress for Sally Field. Its success eased Sutton’s own reluctance about this Hollywood version, especially when she was able to use the film as an organizing tool by touring the south as the real “Norma Rae.” A year after the film showed up in theaters, the J.P. Stevens textile company signed an agreement with the Amalgamated Clothing and Textile Workers Union (ACTWU), allowing workers in its plant to unionize. When Mike Nichols’ Silkwood came out in 1983, its poster read, “On November 13, 1974, Karen Silkwood, an employee of a nuclear facility, left to meet with a reporter from the New York Times. She never got there.” Its ominous tone not only set up the real-life drama as a political thriller but also helped the filmmakers keep the details of her disappearance a mystery. In 1972, Silkwood was hired by the energy company Kerr-McGee, where she was soon tasked by the Oil, Chemical & Atomic Workers Union with investigating health and safety issues, a job she became passionate about, even more so when she discovered herself contaminated with radiation. At the factory, Silkwood handled plutonium pellets for nuclear reactor fuel rods. In 1974, as the film’s tagline hints at, she was found in dead in her car which appeared to have veered off the road into a culvert. While the police posited that she fallen asleep at the wheel, the investigations that followed her mysterious death only created more questions. Soon conspiracies and allegations from both sides turned the real Karen Silkwood into a political tool. The left suspected she’d been murdered. Kerr-McGee and its political allies painted her as a reckless, unstable personality. “One of the things that was hard for me at the beginning with Silkwood,” co-writer Nora Ephron explains, “was that most of the journalism that had been written about her had been one-sided, either painting her as a saint or a hysteric.” In recounting this tale, the filmmakers needed to reveal the Silkwood behind the headlines. Nichols told Film Comment, “Silkwood was so much about being in a daze and looking around one and thinking, ‘Oh my god, I haven't been aware of what's been happening, and what's been happening is very bad.’” In the film, Silkwood (Meryl Streep) lives with her boyfriend (Kurt Russell) and their lesbian friend (Cher) in a ramshackle house as messy as their personal lives. For Streep, Silkwood’s complexity made her courage all the more real. “She wasn't Joan of Arc at all. She was unsavory in some ways and yet she did some very good things," Streep explains to American Film. For many critics, the film’s melodramatic tone was not a sideshow to the film’s political message, but an essential part of it. 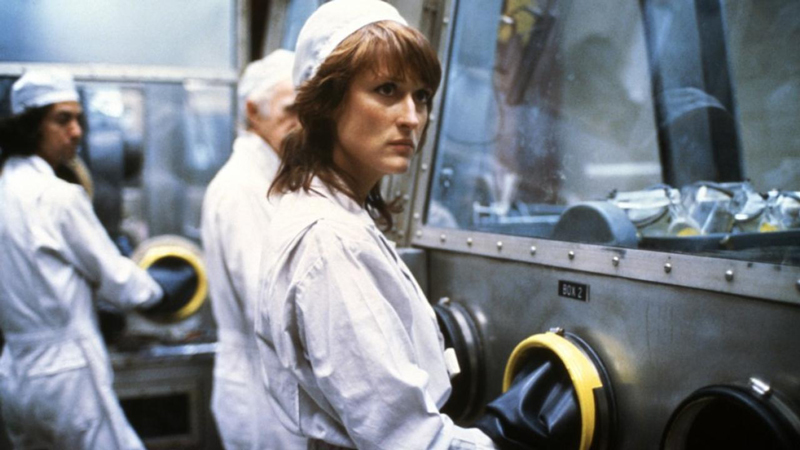 "Silkwood is the story of an ordinary woman, hard-working and passionate, funny and screwed-up, who made those people mad simply because she told the truth as she saw it and did what she thought was right,” exclaimed Roger Ebert. Silkwood was richly awarded come award season, being nominated for five Academy Awards, including Best Director (Mike Nichols), Best Actress (Meryl Streep), Best Supporting Actress (Cher), and Best Original Screenplay (Nora Ephron and Alice Arlen). In The New York Times, director Steven Soderbergh defines his 2000 drama Erin Brockovich as “a pure David-and-Goliath story, a kind of Rocky film.” The fact that its improbable plot is based on a real-life story makes it all the more remarkable. After Erin Brockovich (Julia Roberts), a tough-talking single mom, loses a personal injury case, she pushes her lawyer, Ed Masry (Albert Finney), for a menial job working in his office. In the years that follow, she rises up to become a major figure in winning huge class-action suitagainst the Pacific Gas and Electric Company (PG&E) of California for contaminated water. Perhaps as extraordinary are the odd circumstances that led to the film being made in the first place. The story came to the wife of Jersey Film’s producer Michael Shamberg who just so happened to share a chiropractor with Brockovich. Shamberg and his partners immediately saw the potential in Brockovich’s story, hiring Stephen Soderbergh to direct and tasking Susannah Grant to transform five years of Brockovich’s life and the labyrinthine litigation that happened during it into a compelling screenplay. During production, the film’s subjects didn’t always see eye to eye with the filmmakers. Brockovich relates to The Independent that her former boss, Ed Masry, joked, “I don't care who it is as long as it's not Julia Roberts.” Most critics, however, did not share Masry’s view. The San Francisco Chronicle’s Mick LaSalle exclaims, “Roberts plays a real-life woman who apparently did dress flashily, talk tough and turn out to be brilliant. Brockovich is the apotheosis of every woman Roberts has played.” By pushing Roberts to play Brockovich to her full brassy potential, Soderbergh allows the real-life tale of social activism to be completely entertaining. “Its surprise – and its pleasure – is the plainspoken humanity of its outrage, its utter absence of demagoguery and hype,” explains Entertainment Weekly’s Owen Gleiberman. “The arc of the tale may be conventional, but Roberts, in her most forceful dramatic performance, allows us to take in every moment through fresh, impassioned eyes.” The film was nominated for five Academy Awards, including Best Picture, Best Director, and Best Screenplay, with Roberts winning for Best Actress. On February 21, 2002, a video entitled The Slaughter of the Spy-Journalist, the Jew Daniel Pearl, which captures the gruesome beheading of the Wall Street Journal reporter, was delivered to US officials in Pakistan. The piece, which was uploaded to the Internet as a piece of terrorist propaganda, confirmed what many suspected, that the Karachi-based journalist, who been kidnapped on January 23, had been murdered. Looking on as these horrible events unfurled was Pearl’s pregnant wife, Mariane, who funneled her unbearable grief and unfathomable anger into writing a book, A Mighty Heart, about the experience. Moved by the story, Brad Pitt’s production company, Plan B, optioned it for a feature film to be directed by Michael Winterbottom. 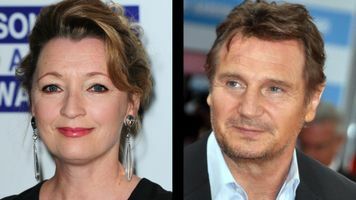 The British director, best known for his taut documentary-based style, was as compelled by the book’s author as the story she tell. “I think it’s amazing that she’s willing to be that forgiving, to be that constructive after what’s happened,” Winterbottom tells Rotten Tomatoes about what drew him to the project. “She refuses to be negative and to give in to hatred, and thinks more about what is possible to be positive about, and how maybe she can pass it on to Adam, her son, and how you can pass it on to the next generation.” Angelina Jolie, who met Pearl while preparing to play her in the film adaptation of A Mighty Heart, found in her a kindred spirit. “She's a really open, passionate, interesting person,” Jolie told CNN. “I set out to do a film and I ended up making a great lifelong friend who's taught me so much.” For critics, Jolie demonstrated her connection to Pearl by bringing an emotional truth to this very dark story. “Jolie resists the temptation to push too hard or overplay her part. Rather she uses her charisma and skill to express not only weariness and fear but also the hard-edged fierceness and lack of patience that are crucial to seeing Mariane as a real person, not a biopic saint,” notes The Los Angeles Times’ Kenneth Turan. For her performance, Jolie was nominated for a Screen Actors Guild Award and Golden Globe for Best Actress.